Photography on a Postcard is back for its second year as the official charity partner of Photo London. The exhibition includes over 500 photographs - each an edition of 1 - generously donated by world-leading photographers. Photographer Ellie Davies has kindly contributed to this year’s auction. We met with her to discover more about her work and the stories behind her photographs! What makes a great photograph for you? Looking at the images on my studio wall I am trying to work out what makes some of these images ‘great’ to me. I think it’s very personal. Some images become great because of their ability to return to you or stick in your mind. You might not realise it at the time but they take on a resonance over time, even becoming more vivid in the memory. For me it is usually landscapes that do this, its hard to pinpoint why one image might particularly strike you but I think its often the colour palette and composition, a visual way-in to the image and a narrative that is more likely to be outside the frame or in my head than in the image itself. Tell us about your process - How to you choose the location of your shoots? Do certain forests or woodlands hold special significance for you? I usually go to the woods with an idea in mind and then I walk or cycle with my camera on my back (and tripod on the bike rack). The bike is a new development and allows me to travel further, but I usually end up parking up and walking as the slower pace allows me to see the woods better. I’m usually looking for specific types of trees, dense cover behind the foreground, I tend to work in overcast weather and I choose locations based on particular colours, size of the trees, depending on the time of year. The New Forest in the South of England is where I make the majority of my work. It does have a particular significance for me since I grew up there. The landscape is hugely varied and ranges from heathland and moors to farmed pine forestry and ancient woodlands ; it has a seemingly infinite number of interesting places to work. I was familiar with some of the forest through childhood walks and bike trips but since working there such a lot over the last 10 years I’ve discovered so many more amazing places. I try to get off the trails, away from people and into the heart of the forest. What is your personal relationship to forests? Why have you worked with them throughout your career? This relationship has been formed over a lifetime of spending time in the forests around my home, growing up with my twin sister, playing, building dens and dams, exploring, those first experiences of independence tinged with a little fear. Later I’ve spent time in the woods making my work, foraging, walking, rock climbing and more recently camping with my small son. It is without a doubt where I am most happy. The moment you enter the forest it affects you profoundly, you have to slow down, to look around. I always sit down when I first get to the woods, listen to the birds and try to settle into the surroundings but there is always an extra level of awareness, sometimes a snapping twig brings a rush of adrenalin. This mixture of pleasure and fear is what I find so compelling and brings me back again and again. Your photographs touch on the relationship between man and nature, transforming the forest into a studio. What do you want the viewer to take from your images? I hope the viewer can experience an atmosphere in the woodlands I photograph and wrap their own narrative around that. I love how differently people respond to my work, some finding it beautiful and uplifting, others deeply disturbing.. its all about what the viewer brings to the image. Do you have any exciting projects coming up you can tell us about? I have begun working on a new series in the last few weeks. It's still very new but I am shooting early in the mornings and at dusk in low light and mist. I want to go back to the atmosphere I was talking about earlier, the beguiling tension, rooted in childhood, between beauty and fear, the desire to explore and to be alone. Ellie Davies (Born 1976) lives in Dorset and works in the woods and forests of Southern England. She gained her MA in Photography from London College of Communication in 2008. Davies is represented by Patricia Armocida Gallery in Milan, Susan Spiritus Gallery in Newport Beach, California, A.Galerie in Paris and Brussels, Brucie Collections in Kiev and Crane Kalman Brighton Gallery in the UK. Davies recently launched her newest series ‘Fires, 2018’. Since then Fires 2 has been selected Winner of the Urbanautica Institute Awards 2018: Nature, Environment and Perspectives. The Fires series was also selected Winner of the 12th Julia Margaret Cameron Award: Professional Landscapes and Seascapes category and The 12th Pollux Awards: Professional Fine Art Series Winner. In 2018 Davies’ held solo exhibitions at A.galerie Brussels and Patricia Armocida Gallery in Milan. Her work was exhibited for the first time in India at Gallery 1AQ in New Delhi as part of India Arch Dialogue 2018: Moments in Architecture in early 2018. Recent solo exhibitions also include Into the Woods at The Roe Valley Arts and Cultural Centre in Northern Ireland in April 2017, and at Crane Kalman Gallery in London in summer 2016. Stars 8 was awarded both the Fine Art Single Image Winner in the Magnum Photography Awards 2017 and The Celeste Prize 2017 and was exhibited at The Photographers Gallery in London and Bargehouse OXO London in October 2017. Davieswas also a Selected Winner in AI-AP’s American Photography 33 (2017) and Landscape Winner in PDN’s The Curator Awards 2016. The six winning artists were exhibited at Foley Gallery in New York in 2016. Her Stars series was also selected for the Aesthetica Art Prize 2016 and received The People Choice Award. Photo Festivals and Touring Exhibitions include Noorderlicht Photography Festival 2017, The Singapore International Photo Festival 2016. And latterly Noorderlicht Photography Festival 2013, Recontres d’Arles 2013 in Arles in France and at China House Malaysia in 2013, and the Singapore International Photo Festival 2012. The Open to Interpretation Landscape Exhibition toured the USA including Gordon Parks Gallery, St Paul, Minneapolis, and Newspace Centre for Photography, Portland, Oregon. Forest Stories Touring Exhibition travelled to The Russian Museum Summer Gardens in St. Petersburg, then to Krasnodar Central Park, Krasnodar, Russia, and to Illinskii Forest Museum, Perm, Russia during 2014. Interviews and photo features include BBC Radio 3, National Geographic, Lens Culture, The Guardian, Gardens Illustrate, This is Colossal, Lense France, Aesthetica Magazine, The LA Times, Huffington Post, On Landscape, AnOther Magazine, Slate, FOTO Magazine Poland, The Plus, Sodium Burn, Cercle Magazine France, F-Stop, Mull It Over, Urbanautica Photo Stories, Two Way Lens, Fraction Magazine, and It’s Nice That. Her work has been featured in Interior Design Magazine USA, Aesthetica Magazine, FOTO, Blow Magazine, Dodho, Doc! Magazine, Lumina Journal, British Journal of Photography, Bear Deluxe, Fuzion Magazine, La Republica Italy, Dazed and Confused, Photo+ Magazine South Korea, Conscientious, Silvershotz, Lens Culture, Art Ukraine, Entitle Magazine, and Le Monde Magazine amongst others. Publications and cover images include Le Magiciennes de la Terre: L’art et la Nature au Feminin by Virginie Luc published by Les Editions Ulmer Paris in 2017 and Matter and Desire published by Chelsea Green, Vermont USA, in 2017. Also, Arboreal, A Collection of New Woodland Writing, published in December 2016 by Little Toller Books, features images and cover by Daviesand Into The Woods by Ellie Davies, a self-published photobook made by Bob Books with text by Miranda Gavin. 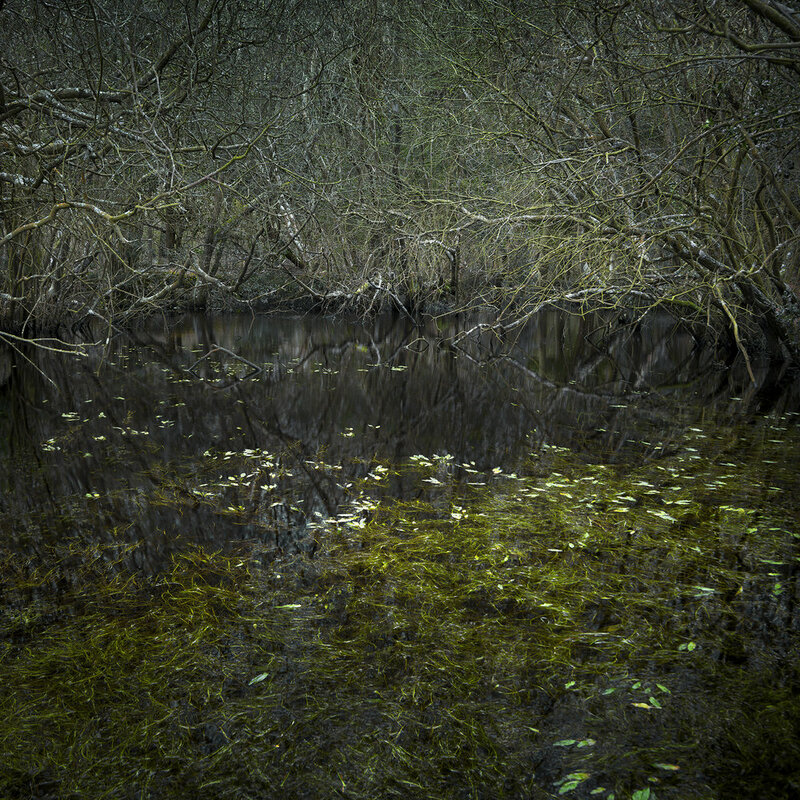 WUD: Four Walks in the Fictional Woods, a limited-edition hardcover photobook was published by Tangerine Press in December 2012, Open To Interpretation: Intimate Landscapes, was published in October 2012, and Behind the Image by Natasha Caruana and Anna Fox was published by Thames and Hudson in 2012 with a second edition in 2017. Davies’ work is held in private collections in the UK, the US, Central and Eastern Europe, South Korea, Hong Kong, Russia and The United Arab Emirates. WUD: Four Fictional Walks in the Woods has been added to the collections of the National Art Library at the Victoria and Albert Museum in London, The Library Project Bookshop, Dublin, The Glasgow School of Art Library, and is stocked in Foyles London.